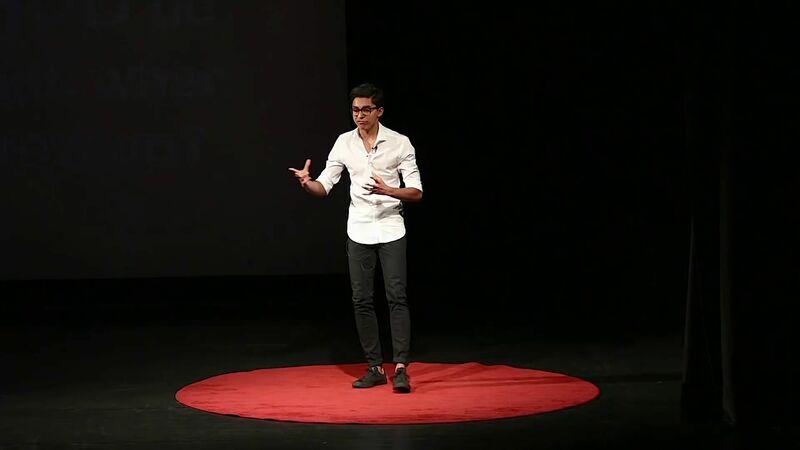 16-year-old Tedx Speaker, Kailash Sarma, is a student of passion. After enduring severe bullying in primary school, an experience that shattered his self confidence, he discovered the art of public speaking as a way to rebuild himself and his self esteem. Soon after, public speaking became one of the most important parts of his life, allowing him to find his passion and co - found his own business. After noticing how many people live without purpose, Kailash began to explore what creates passion in our life. While he was 15, Kailash founded Academy of Speakers; an organisation that is dedicated to building resilience, self-confidence and self-esteem in children through the art of public speaking. His work has inspired him to investigate ways to help refugees and indigenous youth rediscover their voice and share their stories. Kailash is a published author and has presented to large audiences, including in the Opera House. Kailash aims to answer the questions: Why do so many people lack passion? How can we create passion in our lives, and why is it so important to our wellbeing and success? How passion comes not from doing what you love, but from understanding what causes you pain, and surmounting it. Why so many people consider themselves too busy to take the time to find their passion, and why it is important to pause and make this introspection. How to embark on the journey to find your purpose and how to find a purpose that is bigger than yourself. Generation Z lives in a world that is hyper-connected and hyperactive. In a world where there are less borders and barriers, they spend their time creating building blocks to solve the problems that they have inherited. These problems have shaped them to become who they are and the decisions that they make. What generation Z dreams and worries about. Why some organisations are talking with generation Z while others are talking at them and ultimately disconnecting from their future consumers. How you can start seeing the world from their viewpoint in order to create opportunities that would otherwise be overlooked. The challenges the world are facing seem insurmountable. A child’s institutionalised education may not equip them with the necessary skills needed to address the big challenges of the future. It will fall upon those with an entrepreneurial mindset to innovate the strategies and solutions needed to take effective action. Why the current schooling system neglects the ‘entrepreneur’. How we can start to help children and young adults adopt an entrepreneurial mindset. What you can do within your organisation to tap into the youth entrepreneurial movement. Bullying can have traumatic effects on anyone. These can impact people mentally, emotionally, and physically. Fortunately, we can bounce back, but it is a responsibility of everyone to create environments in which bullying cannot occur in the first place. Kailash’s firsthand experiences allow him to deliver a youth’s perspective on how we can prevent bullying in corporate, school and social environments. How being bullied can destroy a person's life and have long-term consequences. How to regain self-confidence, self-esteem and develop resilience. What individuals and organisations can do to ensure that they are creating a caring and nurturing culture that discourages bullying.